Your fireplace, properly accented, is the visual focal point of the room as well as the center of your home’s family and social life. Fireplace andirons, placed inside the firebox, are an important accent for a well-appointed fireplace. When shopping for fireplace andirons it’s important to note the length of the shank—or “dog”—that the logs rest upon. At right, see an example of decorative andirons with short shanks. Andirons with 4-5 inch long shanks are purely decorative. They are made to go in front of a fireplace grate. Functional andirons have shanks 12 to 20 inches long and hold several logs. They function somewhat like a fireplace grate, although as we’ll see, incorporating a grate has real advantages. off. When you use a grate with your them, the grate catches these log-ends and keeps them burning. There are two ways to use long shanked andirons with a fireplace grate. You can place them outside the grate, or you can use a grate with legs tall enough to clear their shanks. 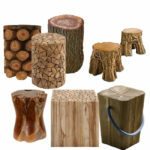 •They can harmonize with your other fireplace accessories–tool set, log holder, and fireplace screen–to complete a decorating theme for your fireplace. •Decorative andirons can blend with room décor, be it traditional, colonial, or modern. 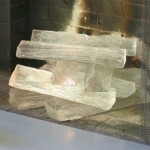 •They add visual interest to your fireplace. •They “frame” your fire, thus drawing the eye to your hearth. 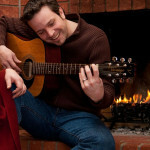 • First, they control your firewood so that it stays put in the fireplace. • Next, functional andirons help create a positive upwards draft to help get your fire started and keep it burning. •And lastly, they make it easier to light your fire and keep it going. A well-made fire has fire logs placed ¼” to ½” apart so that air coming from under the andirons creates drafts between the logs. You’ll see that the logs catch fire along these little gaps. Andirons help you place your fire logs to best advantage. Your fire creates a draft by pulling in cool air from the bottom and heating it so it goes up the chimney, so the space under the andirons gives a clear path for air to enter—under the fire . 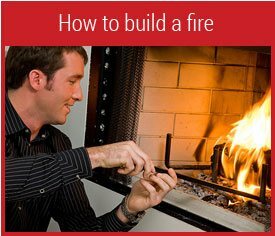 Once such a good draft is established, it’s easy to tend your fire: just add wood as needed. 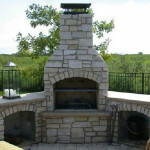 Early humans first used stones as andirons to elevate their cooking fires to get a better draft. 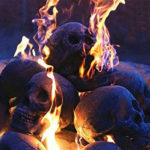 By allowing air to enter the hearth under the firewood, our ancient ancestors made their fires hotter. Ever since people learned to work with metals, andirons have been made in copper, brass, iron, and steel. The basic design has changed surprisingly little. 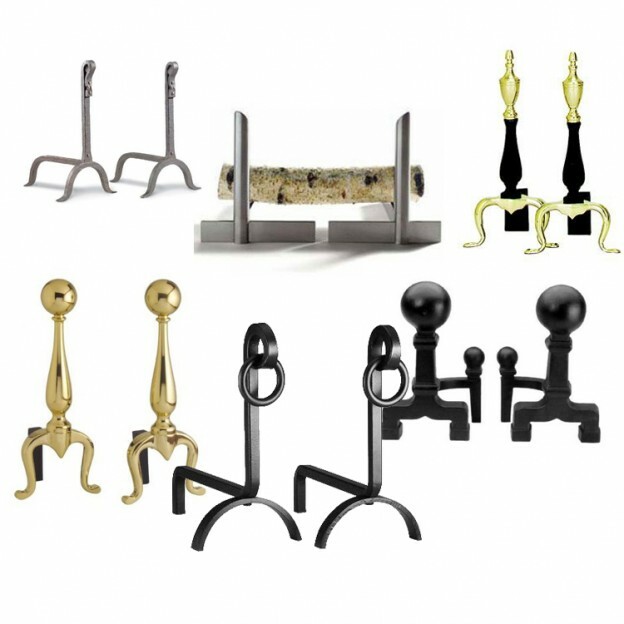 The tall front spire provides weight to hold the andiron in place and a surface that could be styled and decorated. The long horizontal shank that supports the firewood and the short vertical rear leg have remained unchanged for centuries. Early metal andirons were forged in very simple shapes. Heated bars of metal were bent and hammered into shape. After about the 14th century, people began to create forged ones that had a decorative function. The tall front section showcased gargoyles, animal sculptures, or lovely shapes. Cast andirons arrived with the Industrial Revolution. Iron heated to its melting point was poured into molds in mass production factories. The Victorian age saw the creation of the most massive and ornate ones. American-made andirons from the Colonial period have become very valuable antiques. 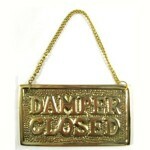 Therefore, if you have an old pair, it would be wise to have them appraised.